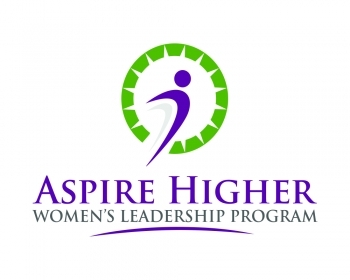 * Aspire Higher is our signature professional development program for female high performers within the organizational context. Also offered in-house to attract, develop and retain female top talent and build leadership pipeline. We're Performance and Leadership Consultants and Coaches to Organizations and High-Performing Employees. "Real Leaders for Real Results." Our pledge: Our firm will show you how to leverage your strengths and identify the possible career derailers common to many high performers and organizations in order to achieve the results you need. "You have to learn more in order to cover more distance before you're fully effective." Let's face facts. Progress comes more quickly and easily to those who understand their natural strengths and the specific challenges they face in the context of their organization and world. Our firm specializes in helping you gain the necessary clarity, confidence and competencies to fulfill on the next and higher steps in your career and life trajectory while you remain at the helm. If you are an organization, individual or team ready to further leverage your strengths and improve the areas that are holding you back, we’ll assist you in bridging the gaps and narrowing the playing field for more success. We help you learn more and cover more distance in your career and company so that you're fully effective. It is our job to help you maximize the skills and competencies that landed you where you are today and then introduce and teach the necessary strategies, tools, and techniques designed to move you even further ahead. The results you will experience are timely, transformational, and on-going accessible: More mobility and mental freedom in decision making and problem solving, a stronger Emotional Intelligence, knowledge of self and others, clarity in thoughts, words and actions, and an experience of more internal control and balance that translates into more success and achievement in the outer world of goals, relationships, and purpose.